Kathryn (“Kate”) Conway is a trial lawyer with the Chicago law firm of Power Rogers & Smith LLP. Kate represents injured people and their families in personal injury and wrongful death actions, including medical malpractice, premises liability, product liability, automobile, and transportation negligence cases. 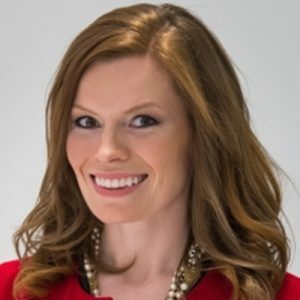 Kate eared her undergraduate degree at the University of Illinois Urbana-Champaign before obtaining her Juris Doctor from Loyola University Chicago School of Law with a Certificate in Advocacy. Kate has served as a Director of the Women’s Bar Association of Illinois since 2015. She currently serves as a co-chair to the Membership, Marketing, and Civil Litigation Committees. Outside of the practice of law, Kate is committed to helping those less fortunate. Currently, Kate serves on the Associate Board of Sarah’s Inn, a local non-profit providing services to those affected by domestic violence. Kate also serves on the Associate Board of Chicago Jesuit Academy, a non-profit middle school located on the west side of Chicago. In her free time, Kate loves to cook and enjoys spending time with her husband Conor and their two rescue dogs, Tucker & Seamus.